A 20-year-old UT-Austin student responded to Texas lawmakers' restrictive abortion regulations by founding Fund Texas Women, a nonprofit that pays travel expenses to help Texas women get abortions in and outside of the state. 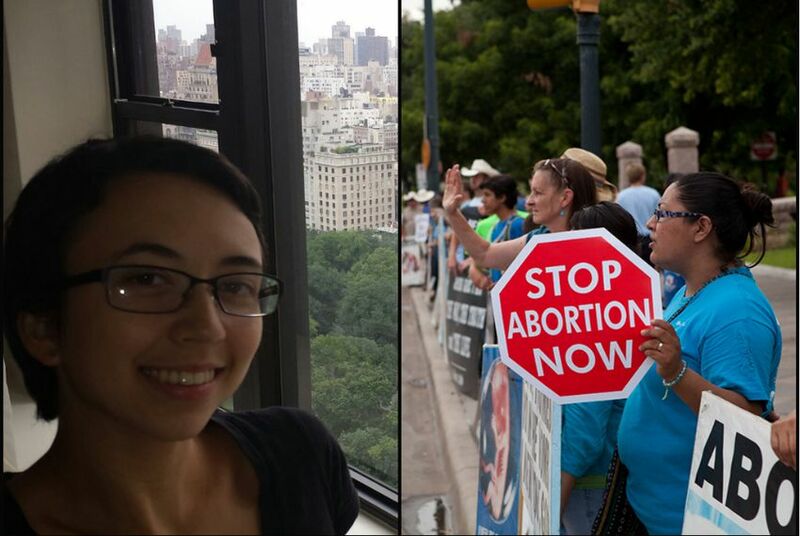 Lenzi Sheible is well versed on Texas' divisive abortion debate. The 20-year-old student at the University of Texas at Austin made the three-hour drive from Houston to Austin multiple times last summer to protest House Bill 2, the strict abortion regulations Republican lawmakers proposed and later passed. Not long after they banned the procedure after 20 weeks of gestation and required physicians who perform abortions to have hospital-admitting privileges within 30 miles of an abortion facility — a measure that has reduced access to abortion statewide — Sheible founded Fund Texas Women, a nonprofit organization that pays travel expenses to help Texas women get abortions in and outside of the state. When the hospital-admitting privileges rule took effect in November, an effort, Republican lawmakers said, to make the procedure safer for Texas women, a dozen abortion providers — a third of those operating in Texas — were forced to discontinue abortion services. That left some women hundreds of miles away from the nearest provider. On Nov. 8, Fund Texas Women launched a volunteer-run hotline that women could call seeking financial assistance to travel to an abortion clinic elsewhere in Texas or the nation. Since then, Fund Texas Women and its donors have paid for plane and bus tickets, hotel accommodations and other expenses totaling about $10,000 to help 35 women receive abortions, including trips to New Mexico and Colorado for those past the 20-week mark. While organizations like the National Abortion Federation and the Lilith Fund for Reproductive Equity, where Sheible was formerly a volunteer and an intern, help to cover the cost of abortion procedures, Fund Texas Women is primarily a provider of transportation. Lilith Fund President Lindsay Rodriguez described Sheible's team as a “trusted organization” doing vital work to help cover travel expenses and overnight stays for women in an enormous state hamstrung by regulations like mandatory 24-hour waiting periods. Texas legislators imposed the waiting period as part of their 2011 abortion sonogram law, which requires physicians to perform a sonogram 24 hours ahead of an abortion and describe the development of the fetus. Fund Texas Women’s efforts have faced harsh criticism from anti-abortion groups like the Texas Alliance for Life, which argues that the organization doesn't encourage women to consider “compassionate alternatives to abortion.” The Texas Alliance for Life also questioned Fund Texas Women's efforts involving minors. "We are troubled that this organization may be encouraging doctors to perform abortions on minors without parental consent, which would be in violation Texas’ long-standing parental consent law,” the group's executive director, Joe Pojman, said in a written statement. Fund Texas Women provides funding for minors seeking abortions and often works with parents who call the hotline seeking financial assistance for travel for their daughters. But Sheible said her organization always speaks to the young women directly to make sure it’s what they want. “If there’s any hesitation on her end, we won’t do it,” she said. Sheible brushes off the attacks against her organization’s efforts. “I think they’re mostly mad because it’s working,” she said. And she insisted they will be even more important come September, when additional regulations take effect requiring all abortion facilities to meet the regulatory standards of ambulatory surgical centers. Only six of the existing abortion facilities in Texas currently meet those standards. The impending clinic closures have Sheible and her team worried about an uptick in requests for funding — and establishing a viable long-term plan for Fund Texas Women. Sheible, who is on a fast track to graduate in May and is expected to deliver her own baby that same month, has been accepted at the UT School of Law, where she said she'll continue to dedicate time to her organization. Sheible said her own pregnancy gives her a powerful connection to the women she’s helping. *Editor's Note: An earlier version of this story said Lenzi Sheible is 19 years old. She was 20 years old at the time of publication.